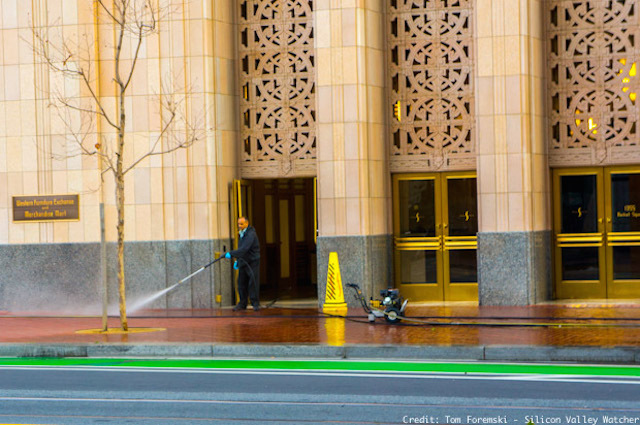 Twitter is cleaning up in the Tenderloin. Twitter's second quarter financial loss was smaller than Wall Street estimates but it also reported a large slowdown in the number of users and shares slid about 6% in after-market trading. It reported its slowest rate of growth with the number of monthly active users up by just 1% or about 2 million to 304m compared with Q1. The company has lost several senior executives this year including its CEO. Twitter's share price at $34 is well below its IPO debut of $45.10. Foremski's Take: Twitter has become better at monetizing its large numbers of users but the lack of new user momentum, and endless leadership problems have left investors exasperated with the lack of progress. If Twitter were to falter much further, it would create a big problem for the city of San Francisco and its mayor Ed Lee. The city granted Twitter a controversial tax break on payroll taxes and sales of shares in return for it agreeing to stay in San Francisco and move its headquarters to the Tenderloin -- one of the city's poorest districts. Ed Lee is running for re-election this year and Twitter's financial problems could become a problem for his political campaign. His deal with Twitter has been criticized for helping millionaires while doing very little to help its underprivileged neighbors, and for being a burden on the city through lost taxes and lost services. San Francisco tax officials have said that the deal appears to be working and the mid-market area where Twitter is located has helped to attract businesses and additional taxes, with the total exceeding that lost to Twitter. However, those estimates don't include the tax savings on Twitter stock sales, which will likely be much higher than the payroll tax savings, estimated at around $55m over the eight-year deal. The lost Twitter money and the loss of future Twitter taxes, if the company were to shrink and falter, could create a backlash in the city government and affect many other tech companies. The pro-tech Ed Lee administration has been favorable towards startups such as Uber and Airbnb despite local laws that ban such activities, giving those companies a much needed early break. If Twitter loses its competitive battles the city's many other tech companies will likely face a less friendly city administration. 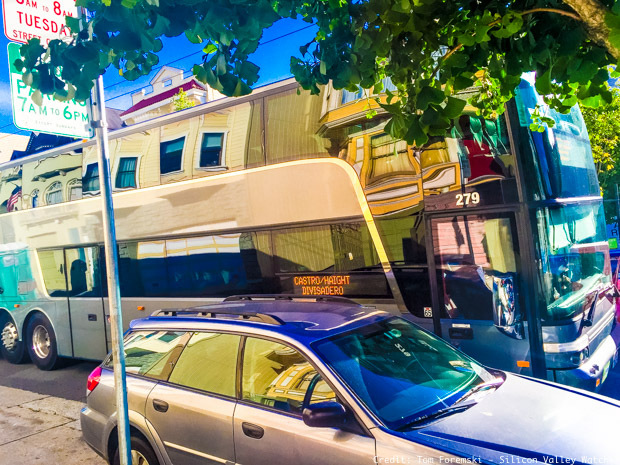 San Francisco is already battling a rising resentment of tech firms as rents continue to rise and giant buses distort neighborhoods as they ferry their workers to distant business campuses.